Are you looking for the best VPNs for streaming at fast speeds anonymously without buffering? You are in the right place. I have tested and reviewed some of the best VPN services in 2019. However, in this review, I will be helping you identify the undisputed best VPNs for streaming. Unblock and watch movies, sports, and news from anywhere in the world not only anonymously but also at incredible speeds. Not all VPNs are the same, and deciding the best VPN is not a walk in the park. Some VPNs are excellent for security while others are blazing fast, or champions at protecting your privacy. 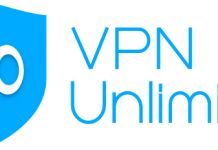 In this review, I have tested many VPNs trying to get the ultimatum VPN for streaming. A VPN that is blazing fast without compromising your online security and privacy. I will review each of the 6 best VPNs for streaming in detail. The review will help you to make an informed decision when purchasing a VPN for streaming. I will also explain to you why it is not advisable to stream content without using a VPN service. I’ve just given you quick links to the 6 best VPNs for streaming. I know you may be wondering why you should use a VPN for streaming in the first place. A VPN is a network designed to route your internet connection via a secure tunnel. The VPN channel is robustly encrypted to secure your packets of data as they transit online. You can get more detailed information about VPN’s from my comprehensive guide on a VPN. Also the information you require to choose the best VPN for your circumstance. You may have tried to access content overseas only to receive the message content is not available in your region. In such a case to access content from the particular website requires you have an IP address from the country. That’s where the best VPNs for streaming come to your aid. A competent VPN service usually has an extensive collection of servers that are spread in many countries across the globe. You only need to connect to the VPN server in the same location as the website you need to unblock. To unblock the Netflix USA library, you will need to connect to a VPN server based in the USA. You can spoof your location and appear as if you are in the USA and access the Netflix USA successfully. You can do the same for other websites like Hulu and BBC iPlayer. If you are traveling or reside outside the USA, you cannot access the Netflix USA library. The US library which has a huge collection of movies is only available to US residents. Best VPNs for streaming can help you unblock and access the entire Netflix USA library from wherever you may be. You simply connect to the VPN’s servers in the USA and stream your desired content. However, it is also my responsibility to inform you that Netflix is continually wedging a massive war on VPNs. Indeed many VPNs surfer blocking and so the VPNs in this article might surfer blocking in the future. Before you purchase a VPN, you had better check with the individual VPNs support team to find out the status. Let them confirm whether the VPN service is unblocking the Netflix USA library at that moment. I’d advise you use the best VPNs for streaming Free Trial or money-back guarantee to try out the individual service risk-free. Hulu is also not accessible to anyone outside the USA. Hence just like with Netflix, you’ll need a competent VPN service with servers in the US. Connect to the VPNs USA IP address and spoof your location to appear as if you are in the US. That way you can access Hulu from wherever you may be. BBC doesn’t work outside the UK. 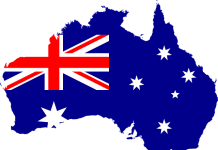 If you subscribe to the BBC from Britain then you travel say to Australia, you won’t access BBC from Australia. The best VPNs for streaming can help you unblock and watch BBC iPlayer from anywhere in the world. However, you should remember to confirm with the support team of your chosen VPN to find out whether the VPN service works with BBC iPlayer at that moment. If you are in the US, you may be a victim of blackout restrictions. Blackout restrictions prevent you from watching your favorite sports when the teams are playing in your region. You can imagine the frustration. Your favorite team is playing, but because they want to encourage people to go to the stadium, you are denied the opportunity of watching your favorite team play at home. Similarly, you can use any of the best VPNs for streaming to spoof your location and appear as if you are watching the game from a region in the USA that is not blocked. Also, an IP address from neighboring Canada could be of help. Kodi is an open source platform that uses a variety of add-ons to showcase unlimited streaming channels. While the use of Kodi set-top box is legal, the use of third-party add-ons to stream copyright protected content could be illegal. Also, there is a bunch of great channels on Kodi that are region blocked. Therefore, using the best VPNs for streaming will help you to unblock the restricted channels. At the same time, you’ll stream all the Kodi channels anonymously thus keeping you safe. A VPN provides you with an IP address from another country allowing you to unblock and watch legitimate streaming sites. That way you can watch your desired content from anywhere in the world in HD quality. There are a host of risks associated with streaming content from free streaming sites. To begin with, you are bombarded with the annoying pop-ups. The content from this sites is of poor quality, and you face the risk of third-party trackers. Other threats are in the form of Malware, and viruses. With a VPN, you need not stream content from random links you find on the internet. Instead, you need to connect to the VPN server in the unrestricted region and watch the legitimate website. That way, you get HD quality without buffering. A VPN uses robust encryption to protect your streaming activities from online threats. Therefore, when you use a VPN, it encrypts your network traffic and anonymizes your location keeping you safe. I think you need to know how to stream your desired content live safely with the best VPNs for streaming. 4. Connect to a server of your choice and stream your desired content. To access Geo-restricted service, simply connect to a server based in a location where the service isn’t restricted. ⇒NordVPN has a wide collection of servers. Sometimes I’m unable to keep tabs for every time I check, the number of servers is usually increased. As I write this review, the number of servers stands at 4300. So what’s the importance of broad VPN server locations for ardent streamers? 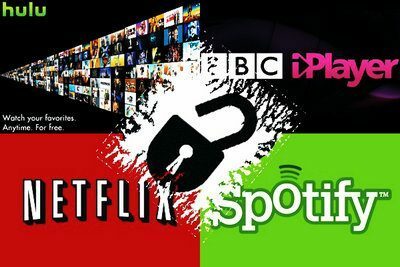 Most streaming websites such as Netflix, Hulu, Pandora, and BBC iPlayer require you to access them from a specific place. A VPN with many server locations means you can unblock many content streaming websites across the globe. You only have to connect to the VPN server in the location of the respective website you need to unblock. NordVPN goes further to provide you with specialized servers for securely watching Netflix, Hulu, BBC, Amazon Prime, and fast TV. NordVPN constantly exhibits excellent speeds from my various speed tests. You can stream in HD quality without the annoying and frustrating buffering. Nord’s security is also top notch as you get military grade encryption. Cybersec is also present to shield you from the ever annoying advertisements as well as online malicious threats. NordVPN supports all the leading encryption protocols. NordVPN is strictly a zero logs service. You can stream your content without worrying about being tracked or monitored. An inbuilt Internet Kill Switch ensures that in case your internet connection drops, your real IP is not exposed. It instantaneously disconnects your internet connection. They also have DNS leak protection to ensure the protection of your private data at all times. My leak tests reveal no leaks at all, and so NordVPN is safe to use. Go ahead and stream without fearing snoops and other online threats. NordVPN allows six simultaneous connections using a single account which makes it ideal for a family set up. It is also cross-browser compatible meaning you can enjoy the service from any platform. The VPN client is easy to use even for the novice. Nord has excellent live chat support with quick response times. On the downside,NordVPN’s monthly plan is a bit pricey. However, the pricing is structured such that it becomes more affordable if you subscribe for a longer period. A one month plan will cost you $11.95, 1-year goes for $6.99/month, while a two-year plan will see you save up to 66% at $3.99/month. Read more about NordVPN. CyberGhost is a VPN I have been following keenly. And it’s been rising with every single day. Their location in Romania plays well for them. Metadata laws were declared illegal by the Romanian Supreme Court. They do not log your online activities which make the CyberGhost VPN perfect where privacy is concerned. Now, this is hot. And if I’m not wrong, CyberGhosts allowing of 7 concurrent connections using a single account is one of its kind in the VPN industry. And families are getting impressed with the deal. As you know, an average household has 7 devices, and so with CyberGhost, several family members can connect to separate devices using a single account. CyberGhost is currently offering you 1300 servers that spread across 60 countries. As you know, the more the number of servers and server locations, the more you can unblock your favorite content in different jurisdictions across the world. Also, connecting to the nearest server will give you the fastest speeds. 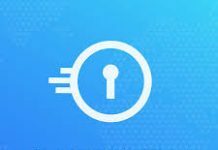 CyberGhost employs robust AES 256-bit encryption to protect your online data from your Government, ISP, online snoops, Identity thieves, hackers, and many other cyber criminals. Cyber Ghost offers you a free 7-days trial of their premium account so you can test their service before you commit to them. Also, they go ahead and provide you 30-days (No questions asked) money back guarantee. That can only mean that they are confident of satisfying your online security and privacy needs. ExpressVPN is the third on my list of the best VPNs for streaming. Save for allowing only 3 simultaneous connections instead of six like NordVPN or seven like CyberGhost as well as the pricing; ExpressVPN could be the champion. ExpressVPN is a secure and anonymous VPN service based in the British Virgin Islands. The VPN has a huge network of more than 2000 servers distributed across the globe. The servers are optimized for fast connections and unlimited bandwidth. ExpressVPN does not throttle your network which makes it an excellent VPN service for streaming. The VPN is excellent at bypassing censorship and unblocking websites owing to its extensive server locations and unlimited server switches. ExpressVPN exhibits fast blazing speeds, and in my tests, I was able to unblock and stream the Netflix USA library. I was also able to stream Hulu, ITV, as well as BBC iPlayer. You can use ExpressVPN to stream and watch The FIFA World Cup, US Open (Golf), UEFA EURO, and FA CUP. Also the French League, Bundesliga Football, UFC, NCAA College Football among other world sports events. Using ExpressVPN, you can stream securely and anonymously as they use 256-bit AES encryption to protect your online data. They also provide DNS/IPv6 leak protection, split tunneling, and the all-important Internet Kill Switch. The Kill Switch ensures your online data is protected at all times. My IP leak tests at ipleak.net didn’t establish leaks of any nature which is evidence that ExpressVPN is safe. ExpressVPN uses OpenVPN with UDP, OpenVPN with TCP, SSTP, L2TP/IPsec, and PPTP protocols. If you are new to using VPNs, there is no need to worry about configuring the VPN to get the best protocol. ExpressVPN will automatically choose for you the suitable protocol. ExpressVPN is a strictly no logs VPN service. I also like the VPNs location in the British Virgin Island. A tropical oasis with no data retention laws and also away from the NSA and the 5-Eyes sphere of influence. The VPN supports Windows, Mac, iOS, Android, Linux, and Routers and comes with Chrome, Firefox, and Safari browser extensions. Other supported devices include Apple TV, Smart TV, Fire TV, PlayStation and Android TV Box. ExpressVPN offers simultaneous connection up to 3 devices. It’s less appealing compared to CyberGhost with 7 simultaneous connections using a single account. ⇒ExpressVPN is a bit pricey VPN. However, their service is top notch, and so they offer value for your money. They also have the industries undisputed 5-star customer support that is all knowledgeable and prompt. I’d advise you go for the 15 months special deal that includes 3 months free at $6.67 and saves 49%. Read more about ExpressVPN. At Utopia VPN Guide, we call it as we see it. You can say anything about PureVPN. However, there’s one thing that you can’t take away from PureVPN, and that is streaming. Fasten your seatbelt because this is another fascinating ride! PureVPN has 750+ servers distributed across more than 140 countries and boasts of more than 800,000 IP addresses. PureVPN allows you unlimited server switching on all their plans. If you are looking for the fastest server, PureVPN readily provides an inbuilt speed-test tool within its apps. The tool will help you identify the fastest server. My various speed tests with PureVPN reveal excellent download speeds and equally good upload speeds. My streaming sessions were also enjoyable. As a streamer, you also want to know whether PureVPN is safe to use. In my tests, I discovered neither the IP leaks nor the webTRC leaks. 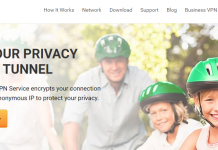 Security wise PureVPN is in good standing as it uses the military grade 256-bit encryption. PureVPN also supports the major encryption protocols that include OpenVPN, L2TP/IPSec, PPTP, SSTP, and IKEv2. PureVPN allows up to 5 simultaneous connections using one single account making it excellent for a family setup. It also supports all the leading browsers. And they have excellent customer support that features 24-hour chat support. PureVPN’s monthly plan is a bit high at $10.95/month. However, you can save a lot should you subscribe to longer periods. 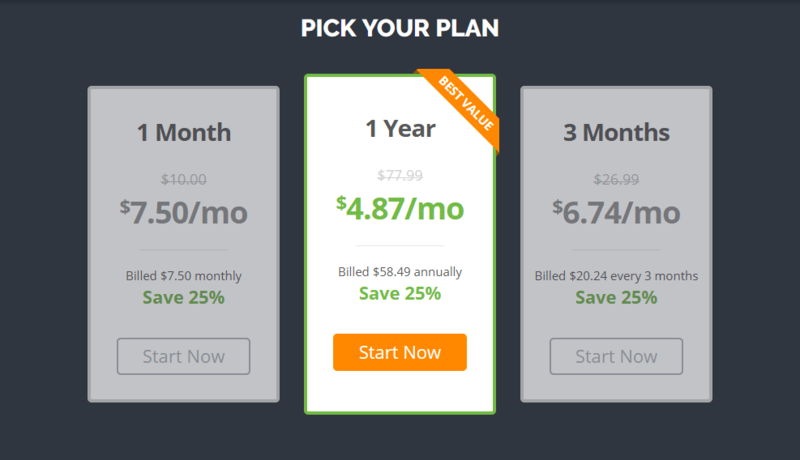 The 6 months plan will see you save 27% at $7.95 per month. The 3-year subscription is the most favorite that sees you save up to 82% at $1.94. All the plans provide you with 7-Days Money-Back Guarantee so you can test their service risk-free. 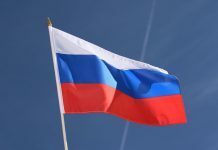 Read more about PureVPN. Do you want to stream in HD and at fast speeds? IPVanish VPN is your perfect VPN. Based in the USA, IPVanish provides you 850 servers in more than 60 countries with 60,000+ shared IPs. The wide server network helps you to unblock and stream content from various parts of the world with much ease. My speed tests with IPVanish validated IPVanish claim to be the fastest VPN in the world. I was so much impressed with the lightning fast speeds exhibited by IPVanish. Ipvanish allowed me to watch Netflix USA and UK. I was also impressed with the leak tests that I carried out at ipleak.net. And so, I can categorically state that IPVanish is safe to use. IPVanish uses the industry standard AES 256-bit to secure your online data. It also supports all the major protocols including OpenVPN, L2TP, and PPTP. The VPN works with all major apps including Windows, Mac, OS X, macOS, Android as well as Amazon Fire. IPVanish provides you with the invaluable Internet Kill Switch. The Kill Switch acts by disconnecting your internet connection should the VPNs connection fall. Hence protecting your real IP from exposure. They provide DNS leak protection, NAT Firewall protection, as well as an IP address scrambler that’s perfect for bypassing censorship. The IP address scrambler masks and hides your true IP address as it works to circumvent deep packet inspection and bypass even the notorious Great Firewall of China. ⇒One major pitfall of IPVanish is its location in the USA. I wouldn’t recommend a VPN location in the US because it’s an NSA sphere of influence and so you can imagine the kind of pressure a VPN located in the US can receive. There are also stringent laws as regards file sharing, and you could easily get convicted of conspiracy to commit copyright infringement. However, IPVanish is alive to this potent threat to its users, and so they religiously exercise a strictly no logs policy. Meaning that even where the NSA or any other agency slumps IPVanish with an order requiring them to produce your logs, they won’t have any to provide. IPVanish is fairly priced with the monthly plan costing $7.50/month, 6-months plan at $6.74 and the 1-year plan at $4.87/month. All the plans will provide you with all the IPVanish features, and a 7-day money back guarantee so you can test their service risk-free. Read more about IPVanish. VyprVPN is a Switzerland based VPN service that claims to be the most powerful VPN in the world. 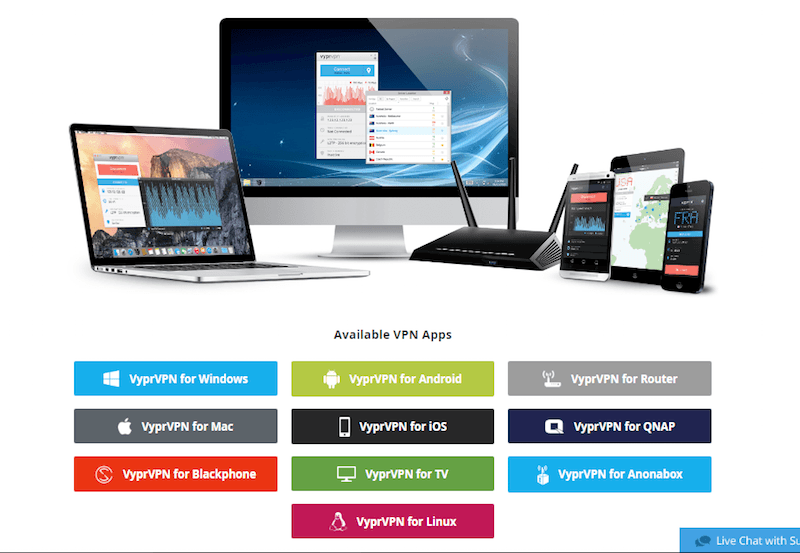 Our question would be, is VyprVPN ideal for streaming? VyprVPN has more than 700 servers with over 200,000 IP addresses. They allow unlimited dynamic server switches. The huge collection of servers is helpful as it allows you to unblock and stream Geo-restricted content by simply spoofing your location. VyprVPN have self-managed servers which are excellent for increasing both protection and speeds. VyprVPN exhibited incredible speeds and better latency during my speed tests. I was also able to stream HD videos at excellent speeds without any interruptions. Also, I was impressed with VyprDNS, the Golden Frogs proprietary DNS software that helps to bypass censorship and allows you to stream videos in HD without the annoying buffering. I did not detect any DNS or webRTC leaks during my tests with VyprVPN. The tests are necessary to ensure that your identity isn’t leaking in a security hole. Leaks are dangerous as they can reveal your location and thus provide an opportunity for hackers and other cybercriminals. 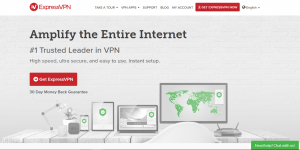 VyprVPN utilizes PPTP, L2TP/IPsec, OpenVPN, and the Chameleon proprietary VPN technology. I liked the chameleon technology for its ability to scramble the OpenVPN metadata to evade deep packet inspection (DPI). I also liked the fact that VyprVPN has a NAT Firewall ready and so you do not require any additional software or configuration as the NAT Firewall runs on the VyprVPN servers. Another feature I liked is the VyprVPN’s CYPHR Messaging app that uses symmetry key encryption to secure and protect all your messages. VyprVPN’s use of an Internet Kill Switch means that your real IP address is protected from leaking should your VPN connection drop for whatever reasons. 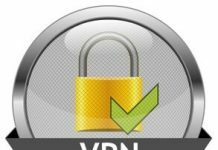 ⇒Is VyprVPN safe to use? To begin with, the VPN is based in Switzerland which is an excellent location for a VPN. In the country, the right to privacy is guaranteed under Article 13 of the Swiss Federal Constitution. Online activities are protected under the Swiss Federal Data Protection Act (DPA) as well as the Swiss Federal Data Protection Ordinance (DPO). VyprVPN is also a no logs VPN service. However, they keep your connection logs for 30 days. And they give a detailed explanation as regards which type of data they keep and the reasons for keeping that data. VyprVPN allows simultaneous connection of up to 5 devices using a single VyprVPN account. The VPN is cross-browser compatible and has excellent customer support that includes 24/7 live chat, email, comprehensive FAQ, and manual setup instructions. 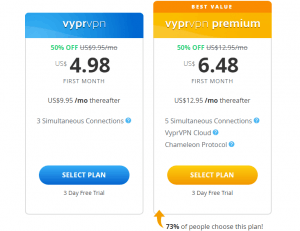 VyprVPN pricing consists of two main offers. The first one is the basic plan that goes for $4.98/month for the first month and $9.95/month after that and allows you up to 3 simultaneous connections. I’d advise you go for the premium plan that will cost you $6.48/month for the first month and $12.95/month after that. The premium plan allows you to connect up to 5 simultaneous connections, VyprVPN Cloud, and the Chameleon protocol. Both VyprVPN plans come with 3 Days Free Trial which is perfect for trying before you commit to them. Read more about VyprVPN. Speed is of utmost importance if you need a VPN for purposes of streaming. You’d better prioritize download speeds and server coverage. Plenty of servers means that you will be able to find a server with optimum speeds. Since streaming is an intensive activity, you’ll require a VPN with excellent download speed to watch movies in HD. However, streaming movies in HD quality requires a fast internet connection. If your internet speeds are slow, a VPN will deep the speeds further due to encryption. I’d advise that if you only need a VPN for streaming and security isn’t a priority, then you should consider using the PPTP protocol. Though less secure than OpenVPN, PPTP is fast and excellent at streaming videos. Even if you intend to stream content, it should not compromise your privacy and security. Your best VPNs for streaming should have some good levels of encryption to protect you against the ever-increasing online threats. I’d also recommend you go for a strictly no logs VPN service. Another equally important feature to look out for would be the Internet Kill Switch. Also, I’d recommend a VPN with DNS, IPv6, and webRTC leak protection to safeguard your privacy. Bandwidth determines the download speed of video files in the case of streaming. If the download speed (the rate of transfer) is slow, it affects direct streaming of videos and all other online activities. Apart from accessing streaming media easily, unlimited bandwidth helps you to bypass restrictions imposed by your ISP or Government. Price also matters but up to a point. Free and cheap VPN services are known to come with malware threats. Some have hidden tracking that collects your data and sale the same to advertising companies. They can also Steal your bandwidth and resell it to others. Some free VPNs may have leaks that expose your online traffic. Others practice browser hijacking where a free VPN service hijacks and redirects your browser (without your permission) to partnership websites. Therefore you’d rather spend money on a premium VPN and browse securely. It is also cheaper when you subscribe for a longer period. For instance, NordVPN only charges $2.75/month if you subscribe to their three-year plan. Streaming websites such as Netflix are always at war with VPNs. If a VPN claims to work with streaming services, check if they have a free trial or money back guarantee. Use the opportunity to test the websites risk-free. That’s why I included in my review only VPN services with either a free trial or money back guarantee.